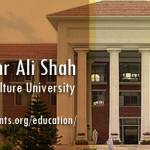 Pir Mehr Ali Shah (PMAS) Arid Agriculture University Rawalpindi that admissions 2019 are open in several departments of the institute which is at 7th position in the list of HEC top ten universities of Pakistan. The Institute is delivering quality and modern education from graduation up-to doctorate level in several areas of academic fields. The arid agriculture university is arranged by highly professional and experienced faculty and staff members who are delivering the knowledge in various departments of this school of education. Here you find the arid agriculture university admission criteria and details along with fee structure, application form submission, last date of admission in PMAS University. 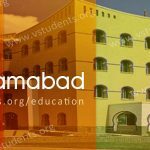 Find the further BS, MS, B.Sc, M.Sc, Ph.D. MPhil, Undergraduate and postgraduate programs details with their admission requirements, entry test merit list, jobs and fee structures. 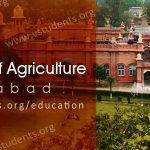 Arid Agriculture University Rawalpindi has declared the last date for admission 2019 in multiple programs. 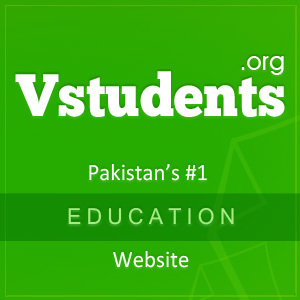 The university is making use of latest equipment in its state of the art science and engineering laboratories, providing modern computer labs with well-furnished classrooms. Here we are giving you detailed information regarding admission in arid agriculture university 2019 please move to downward for getting admission guide. 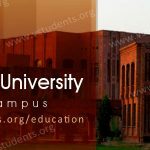 Must Check IIUI Admissions, QAU Admission and Nust Admission details before submitting admission form in AIOU. Those candidates who want to get admission in Ph.D. Education they can submit their application forms in the Department of education before the last date of form submission as mentioned below with the fee structure. You can get all updates about the revised/updated fee structure here. For session 2019 the arid university offered following M.Sc program in which candidates can enroll for their interesting courses, Agronomy, Agriculture Economy, Agriculture Extension & Communication, Entomology, Food Technology, Horticulture, Plant Breeding & Genetics, Plant Pathology, Soil Science. Announcing M.Sc honors 2 years program (Morning) in agriculture for all those candidates who have cleared their B.Sc with the CGPA not below to 2.50 from 4.00 and must have passed their GAT test with at least 50% marks. 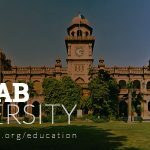 The Pir Mehr Ali Shah University Rawalpindi has announced admission in Ph.D. Botany and Ph.D. Economics for those who are M.Sc/MS or M.Phil with 3 CGPA along with passing certificate of GAT Test with 60% marks. The department is Offering Ph.D. in Poultry Science for the interested in the predefined admission requirements according to academic officials. The University is offering a Ph.D. program in various subjects as Agronomy, Entomology, Food Technology, Horticulture, Plant Breeding & Genetics, Plant Pathology, Soil Science. Admission criteria for admission in Ph.D.: The interested candidates must have obtained 3 CGPA out of 4 CGPA in M.Sc (Hons)/MS or M.Phil and passed the GAT test with at least 60% marks. 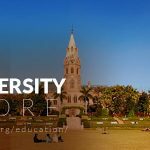 University is offering postgraduate programs in Ph.D. Computer Science for advanced computer languages and courses. Follow the admission in computer science requirements for the Ph.D. level. Note: All of the above programs requires that you must have passed your M.Sc, MS or MPHIL with at least 3 CGPA and must pass your GAT Test with 60% marks. 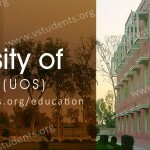 The prescribed application forms would be available from the offices of the respective faculties of the university for Rs. 700/- with forms complete in all prospects. Submit admission forms before the last date of submission for the particular course. No separate intimation for interview or test would be given. 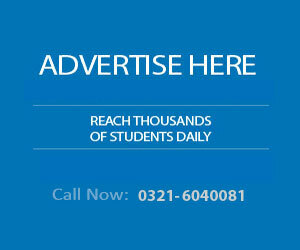 HEC’s indigenous scholarship holders would be given preference for admission. 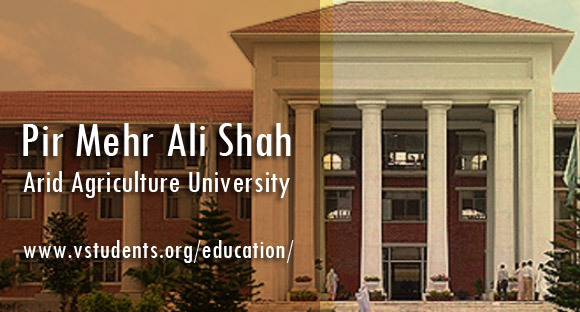 Please check out further details of application and fee, entry test merit list, commencement of classes, etc from the official website of Pir Mehr Ali Shah Arid Agriculture University official site. 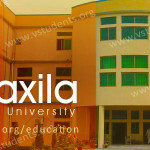 Address: PMAS-Arid Agriculture University Rawalpindi, Shamsabad, Murree Road Rawalpindi. Please tell me when will the admission start for msc sociology and bsc bioscience? and what are the last dates for admission? its great pleasure for me if anyone inform me about Arid Agriculture university offer M.Phil in English or not. And also inform me about m.Phil in sociology. Please tell me when spring admissions for m.phil botany will be start?? Sir tell me please when spring admission open? Please tell me when will the admission start for Msc sociology and what are the last dates for admission? Is there GAT test for applying m.phil? Does this university offer m.phil in education?